Last Saturday I went to a CTMH event in Victoria. We had worked for a few years to make this happen and I am really glad we did. We had a great group of "island girls" who joined in for tons of business discussion/learning and of course we created some fabulous projects created by the Home Office. As I was helping lead for the day (I spoke a lot!) Pierre our Canadian General Manager with CTMH, gave me the lovely Falling For You Scrapbooking Workshop Your Way as a Thank You. So I decided to make this weeks entry for the Atlantic Hearts Sketch Challenge with these papers. So lovely, so fall! Instead of stamping the leaves I decided to fussy cut them out from the paper packet. 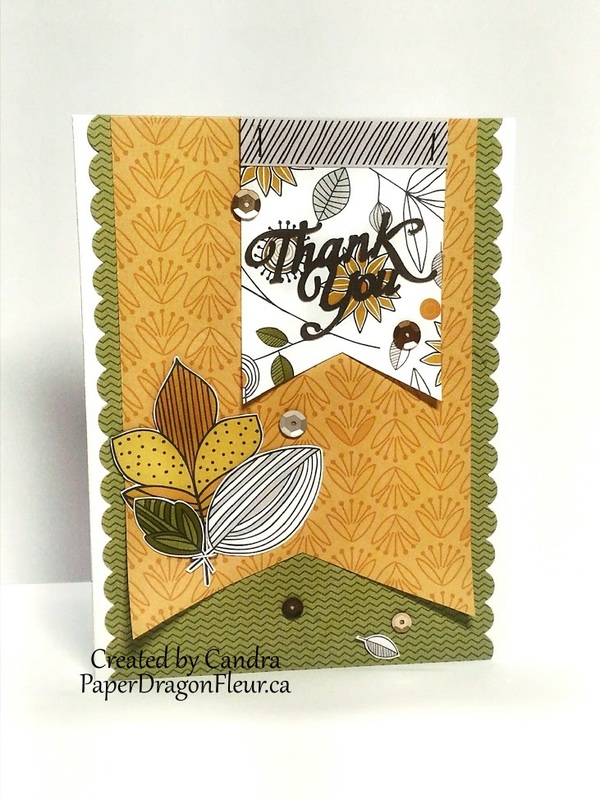 The Thank You is a Cricut cut from the Artiste Collection (retired) and I cut it out on Expresso Cardstock. The scalloped edge is from the also now retired Scallop Border Punch from a few years ago. I added a few mini staples and some of the sequins from the Bronze Sequins collection to finish off my card. Thank you for stopping by and I truly appreciate your comments! 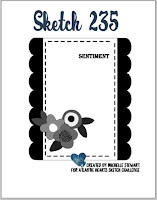 I hope I have inspired you to come play along with us at Atlantic Hearts.